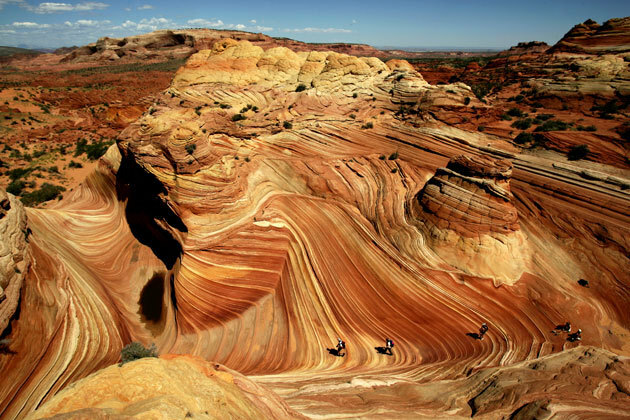 The Wave (Created 190 million years ago when desert dunes compacted and solidified into striped sandstone) is located on the Colorado Plateau, near the Utah and Arizona border. The area is a gallery of gruesomely twisted sandstone, resembling deformed pillars, cones, mushrooms and other odd creations. Deposits of iron claim some of the responsibility for the unique blending of color twisted in the rock, creating a dramatic rainbow of pastel yellows, pinks and reds. 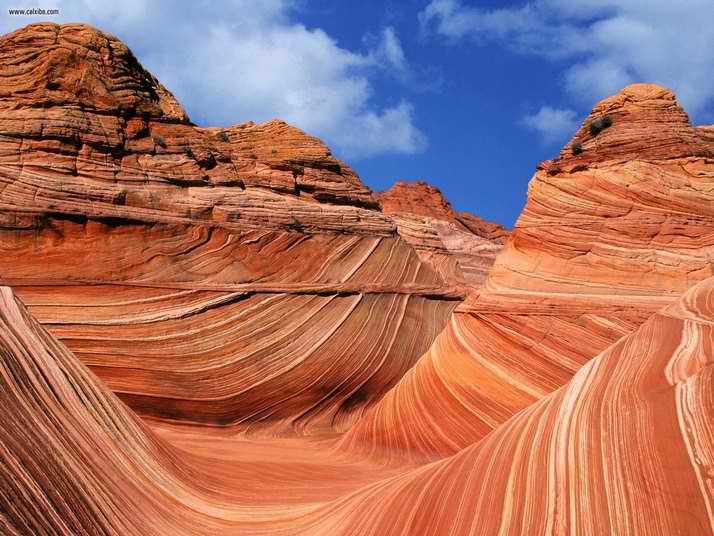 The Wave is famous among hikers and photographers for its colorful and undulating landscape. Surprisingly, it has yet been designated a national park. The Wave is part of the Paria Canyon-Vermilion Cliffs Wilderness, administered by the United States federal Bureau of Land Management. The soft sandstone of The Wave is fragile, so one needs to walk carefully, not break the small ridges. A good time for photographing The Wave is the few hours around midday when there are no shadows in the center, although early morning and late afternoon shadows can also make for dramatic photos. After a recent rain storm, numerous pools form which can contain hundreds of tadpoles and fairy shrimp. These pools can be present for several days. 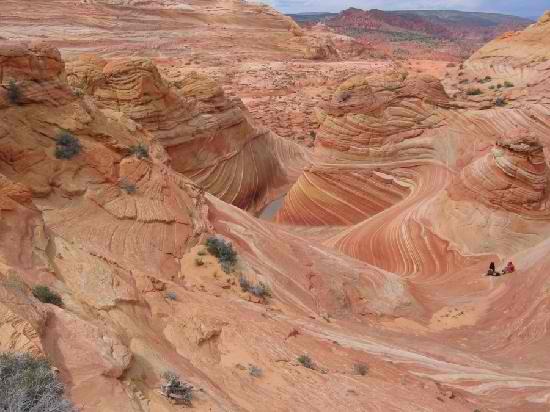 The Wave does involve a three mile hike across open desert with no path to follow. The best hiking conditions are found in spring and fall. Summer temperatures get very hot, sometimes reaching 100 F. Winter nights are cold but days are often mild. Hiking can be pleasant during warm periods in winter. Hikers and photographers are anxious to visit the Wave due to its shape and amazing vibrant color however, access is extremely hard to come by. To preserve the formation, only 20 visitors are allowed access each day and permits are required, which are not easy to obtain! 10 permits are vied for through an online lottery and the other 10 permits are handed out via on-site lottery, so you’re really taking your chances but what a pay-off if you’re one of the lucky 20!